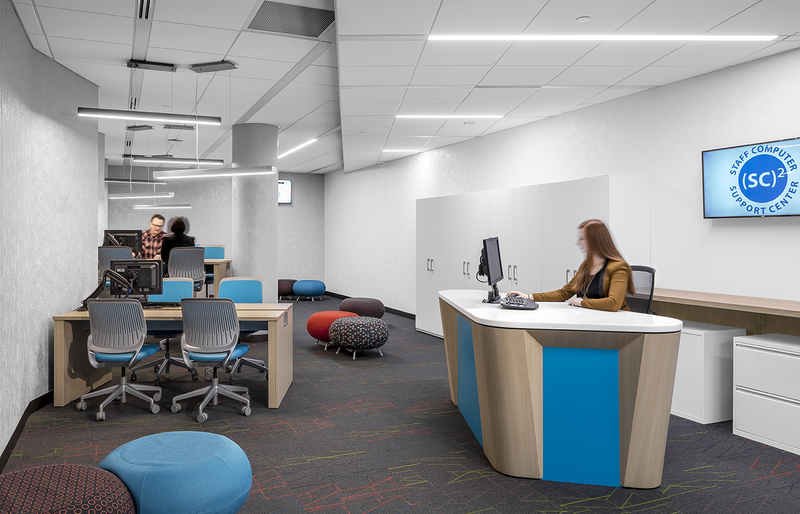 Hennepin County retained Studio Hive to plan and implement a new workplace strategy addressing existing departmental space constraints while looking to the future to create an office environment that appeals to the next generation of workers. Working within an existing 46,000 SF of space spread across three floors, the design team was tasked with improving workflow and communications, creating flexible work spaces, providing a more ergonomic office environment, addressing strategies for future growth, encouraging a more collaborative environment and enhancing culture. 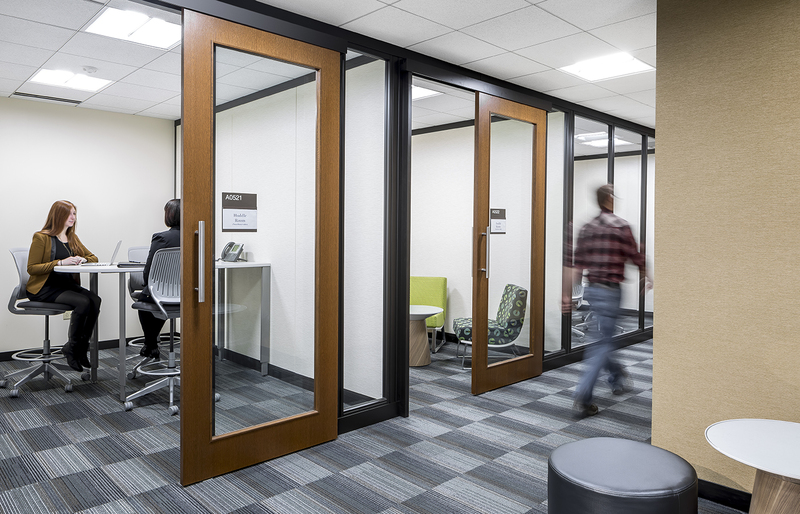 The resulting new work environment is a mix of dedicated and unassigned personal work space, a variety of formal and informal collaboration venues, lab spaces, dedicated socialization space and a branded customer service center. Overall, dedicated staff space was significantly reduced to free up more square footage that could be devoted to achieving the department’s project objectives’ of supporting collaboration and enhancing culture. 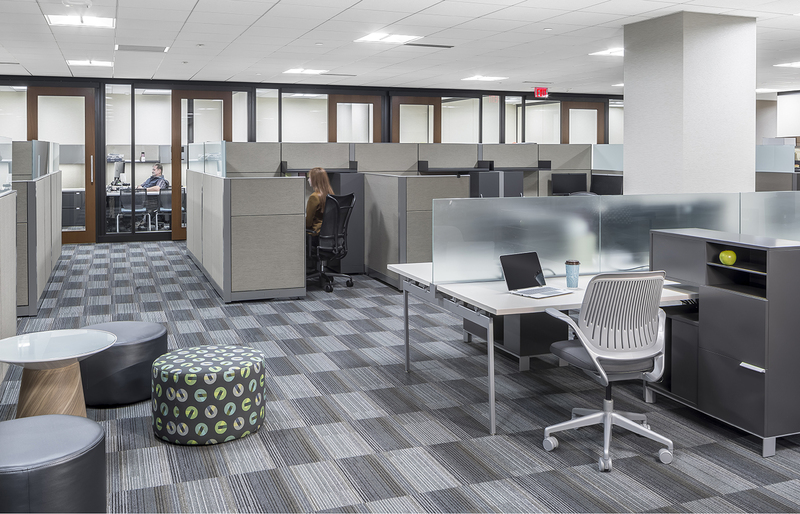 Space is organized on a fungible planning module which allows for future flexibility and cost effective change as the workforce and work processes continue to evolve.